Car Show and Art Show in small town in northeastern Colorado to benefit the effort to get the Texaco station and local bank designated as historic. Silent Auction, Bouncy House, Photo Booth, BBQ, Grebel and others. Come see our main street historic preservation project! Live band in the park! 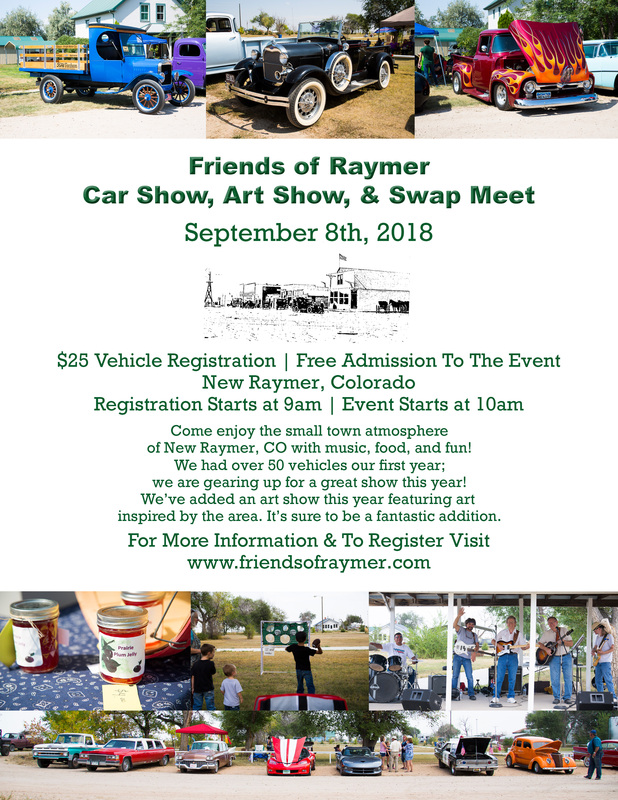 EVENT STARTS AT 10:00 a.m. in New Raymer, CO.
Free admission; $25 for car show registration at 9:00. Car Show Registration starts at 9:00 a.m. or visit www.friendsofraymer.com to register. Can also register for the swap meet or for a craft vendor. Contact Trina Kauk at trinx.kauk@gmail.com or call 719-649-6929.